It is a gemstone that is subtle and elegant. A gemstone that quietly exults in its phenomenal powers. The yellow Sapphire, gemstone of the planet Jupiter is a beautiful creation of nature. 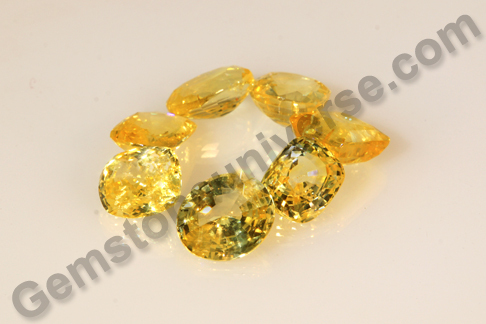 Gemstoneuniverse presents two new lots of natural, premium unheated Ceylon yellow sapphire – Amun 2012 and Callisto 2012. These are natural yellow sapphires from the Ratnapura mines of Sri Lanka and has fantastic jyotish attributes, especially weight. 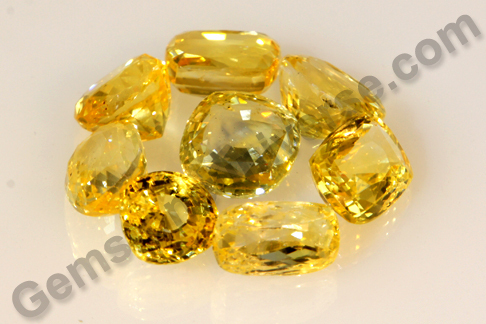 Yellow Sapphire is corundum colored yellow due to the presence of trace element iron. The color of the gem ranges from a very pale yellow to rich canary yellow (which is also referred to as lemon yellow, mostly in the western markets). Natural, unheated yellow sapphire has a very special place in Vedic astrology because it is the gemstone of the planet Jupiter, whose blessings are essential for every auspicious happening in life. If Jupiter is a significator in one’s birth chart, a natural unheated yellow sapphire must be worn as a talisman to harness the benevolent energies of Jupiter/ Brihaspati/ Guru. Yellow sapphire or Pukhraj as it is known, for the jyotish purposes must be free of doshas mentioned in the sacred texts. For instance, it must be free lustrous, clear, should not have cracks and should not have a color window i.e. to say that the color must be uniformly spread. Since the clarity in good yellow sapphire is naturally high, it is easy to detect flaws. Natural inclusions however are not flaws. 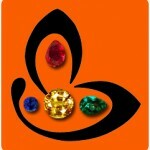 A buyer must ask for certification of natural gems as there is a glut of heat-treated sapphires in the markets. They are heat treated to give it additional color and for improving aesthetic appearance. These heated sapphires, or other materials being palmed off to the unwary buyer in the name of Yellow Sapphire do not have any significance for astrological purpose and do not bring about any result in planetary gem therapy. Note: The certification and appraisal of the gems in this lot is complete and should be available to you in two weeks time.